Malta offers a unique collection of places to visit and tourist attractions across the islands, all within close proximity of each other. Being a small island nation, most places to see are easy to reach, either by public transport or by car. With short distances between the various sights, you’ll be able to visit a lot more points of interest in a day than most other travel destinations in Europe. Here’s my personal selection of the best places to visit in Malta! This little island nation has a lot to offer the curious traveller, with a rich, fascinating history and with traces of various cultures and foreign rulers who left their mark on Malta and its culture. Malta is awash with various places to see within old village cores, the countryside and by the sea which allows visitors to delve into the country’s past, get to know its art scene, and imagine times-gone-by. Aside from places to visit, there are also a lot of things to do in Malta that are worthwhile exploring. This list of recommendations for best places to visit in Malta is based on personal experience as an expat-turned-local. There are more options out there but I feel these are the places I would recommend are worth your time and money. Take a hop on hop off bus and tour the main tourist attractions on the islands. Different routes are available and there’s a route that passes through Gozo with a stop at Mġarr Harbour, where the ferries to/from Malta berth. Please note: Some of the hop on/hop off buses are open-top double deckers. Avoid sitting on the open upper level as it’s proven to not be very safe. Valletta (Malta’s capital city), built by the Knights of St. John in the 16th Century, is probably the place in Malta that offers the highest concentration of attractions to visit. Around every corner, you can find another point of interest and if you really want to soak it all up you’ll probably want to spend a day or two exploring the various places to visit. 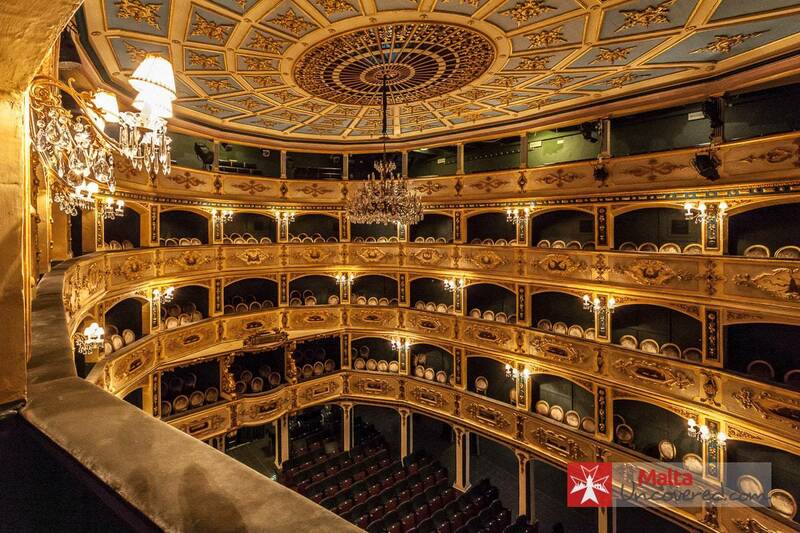 Notable for its diverse range of plays, the Manoel Theatre is also a huge hit in Malta because of its exceptional design – it really is an architectural gem. With elaborately decorated domed ceilings and rows of boxed seating sporting intricate patterns, it’s truly a place to behold and admire. Don’t forget to look up towards the ceiling! Inside the ornate architectural beauty of the Manoel Theatre and Museum, visitors can rest and relax in the Roman-inspired central courtyard that offers a peaceful, well-designed haven. The small square is also used to display art exhibitions, providing a creative space to think and chill out. The first time I visited the church of St. Paul’s Shipwreck I wasn’t expecting to find anything out of the ordinary, but to me it’s a bit of a hidden gem in Valletta. A gem that needs polishing, but the interiors are unique and fascinating. It’s a dimly lit church during the day and restoration works are being carried out, but there’s a lot of detail in the shrines, ceilings and floors to discover. Step inside and have a look for yourself! Fort St. Elmo is one of the most significant fortifications in the Grand Harbour area. The fort’s predecessor (also referred to as Fort St. Elmo) played a key role in the defeat of the Ottoman army during the Great Siege of Malta in 1565, despite having been reduced to rubble. While the construction of Valletta started the following year, Fort St. Elmo was rebuilt and integrated with Valletta’s fortifications. The upper part of the fort was restored between 2009 and 2015 and has become a popular point of interest in the capital, also hosting the National War Museum within some of the barracks. If you’re a little more adventurous and don’t mind heading off the beaten path, with a short walk around to the back of Fort St. Elmo you can get to the Breakwater Bridge at the entrance to Grand Harbour. Access to the far end of the breakwater is usually closed and the bridge itself isn’t the main draw. It’s the view you get out over the harbour and the location itself that are special and worth checking out. Not far away from Fort St. Elmo, the Siege Bell War Memorial sits on the edge of the Valletta bastions, overlooking Grand Harbour and its breakwater. The bell itself was built to commemorate the award of the George Cross to Malta and to honour over 7,000 Service Personnel and Civilians who gave their lives during World War 2. The St. John’s Co-Cathedral is an absolute must visit. Not just for its amazingly beautiful interior and Baroque architecture, but also for the collection of Caravaggio (Michelangelo Merisi) works on display at the museum. The cathedral was built by the Knights of the Order of St. John, who played a hugely important part in Malta’s history, and you will hear stories of them popping up all around the island. St. John’s Co-Cathedral and Museum is dedicated to this section of Maltese history, and highlights the roles and lives of the Knights who once called it their home. Castille Place is the square located in the South-eastern corner of Valletta, which is one of the few access points for vehicular traffic into the capital. Apart from providing a lovely scene itself, you can find a few interesting buildings at this location. 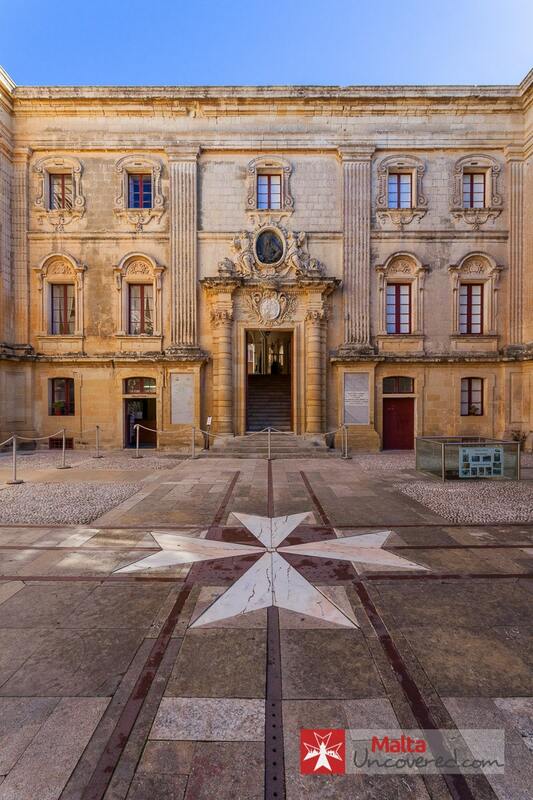 Auberge de Castille is the present-day Office of the Prime Minister of Malta, and was built by the Knights in the 1570s and served as an auberge for the langue of of Castile, León and Portugal. Each of the langues (or divisions) of the Order of St. John had an auberge to serve as their headquarters. St. James Cavalier – One of the major fortifications designed to thwart land-based attacks on the city. More info up next. Back at the turn of the 21st Century, the St James Cavalier was converted into a Centre for Creativity, and old, cobbled passageways and large, high-ceiling rooms were renovated into spaces for contemporary art exhibitions and cultural events. Aside from its unique interiors, events and performances are regularly held here. The Upper Barrakka Gardens is one of the most popular spots in the capital city, from where you can get splendid views out over Grand Harbour. It’s also a great place for a quick drink and a snack at the local kiosk, overlooking the gardens. This location is also an entry point from the harbourside (and its cruise port near the Valletta Waterfront) down below, through the Upper Barrakka Lift which ascends the height of the bastion wall of over 58 metres. With a great vantage point over Grand Harbour, the Saluting Battery was built by the Knights in the 16th century and used by the British as an artillery battery until the 20th century. Recently restored, you can get a tour around the location and one of the guns located there is fired twice a day, at noon and at 4pm. You can access the Saluting Battery by descending a few steps in the middle of the Upper Barrakka Gardens. Less popular and smaller than its Upper cousin, the Lower Barakka Gardens are a peaceful little haven to have a quick break and enjoy the views (and shade!) with a drink and a snack from the kiosk present near its entrance. Valletta Living History is a cinema-run documentary that takes you through the fascinating history of Malta’s city and acts as a great primer before exploring individual sites within the city. It’s a well filmed and told production that lasts around 30 minutes. Standard tickets are a little pricey at €9.75 for adults and €4 for children. 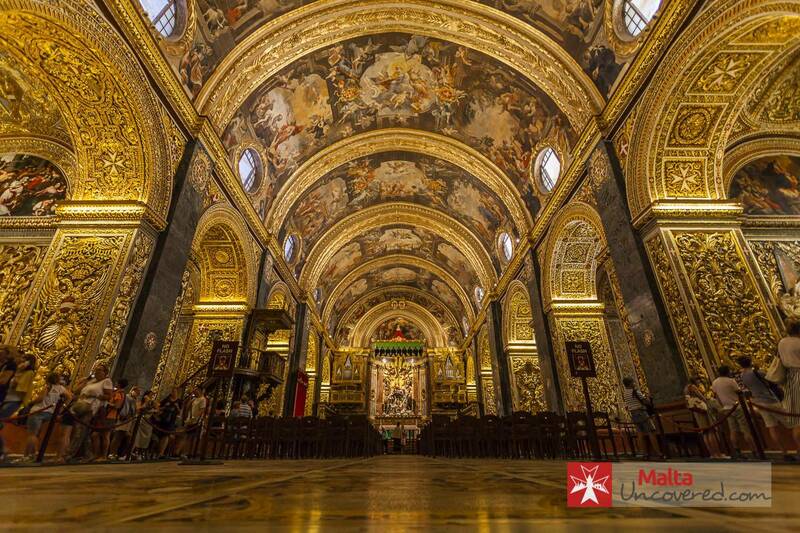 Formerly a state-of-the-art hospital, built by the Knights of Malta in the late 16th century, the Sacra Infermeria (nowadays Mediterranean Conference Centre) is one of the most impressive buildings in Valletta. As part of a visit to The Malta Experience (audio-visual show), you can get a guided tour (either separately or in combination with the show) of the building and its history. The tour is highly recommended, the show also worthwhile watching for a good primer on a high-level overview of Malta’s history. Having said that, Malta 5D (located in Old Bakery Street) is probably a better experience overall and is similar in terms of content. The Valletta Waterfront (really and truly situated as part of the neighbouring village of Floriana) is a small area on the harbour side with a row of buildings once used for storage and customs. Restored in recent years, with colourful doors and apertures, the stores now house several restaurants and entertainment establishments. With shaded terraces out front, it’s a lovely place for a bite to eat and a drink with a view over Grand Harbour. After you take the Upper Barrakka lift down to the harbour, it’s a 10-minute walk with interesting sights to take in along the way. Housed within the Presidential Palace in the centre of Valletta, the beautiful interiors of the Palace State Rooms are a sight to behold. Having been the residence of successive Grand Masters, as well as Governors during British rule and nowadays the President’s Palace, the building is a magnificent piece of heritage with art adorning almost every wall. Right next to the President’s Palace you’ll find the National Library of Malta and its square featuring a statue of Queen Victoria. The main reading hall is usually open during the day (full days in winter on weekdays, mornings only during the summer months) and it’s worth having a look inside to admire its interiors. This library isn’t your typical public library, instead, it houses manuscripts, printed books, periodicals and journals issued in Malta and is the main source of Melitensia. Although it’s a relatively small village, across the Grand Harbour from Valletta, there’s a lot of historical value in Birgu (Vittoriosa). The place once formed the headquarters of the Knights of St. John (in the 16th Century), before Valletta was built. In the 16th Century, the grand Inquisitor’s Palace was built to accommodate the civil law courts. 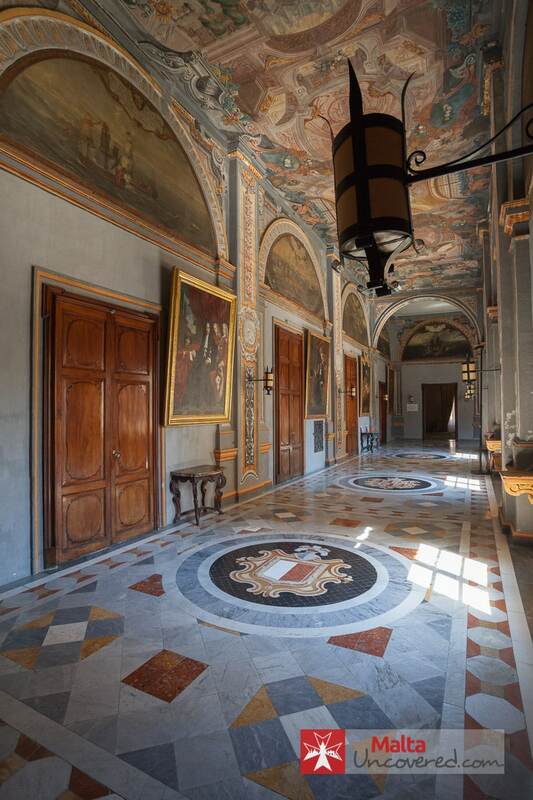 Today, the building is used as a portal to the past, displaying incredible works of art in gold, gilded frames, and a selection of furniture and artefacts reminiscent of the time shortly after the Knights turned up in Malta. In preserved, underground bomb shelters, and through a vast selection of memorabilia, visitors to the Malta at War Museum can learn more about the island’s role in World War II and the great suffering that racked the island – a moving and fascinating experience. As an island, Malta is surrounded by sea and, therefore, has a large maritime industry. Here, visitors can get to grips with the history of the industry within Malta and on a wider, global scale, through historical documentation and artefact displays. 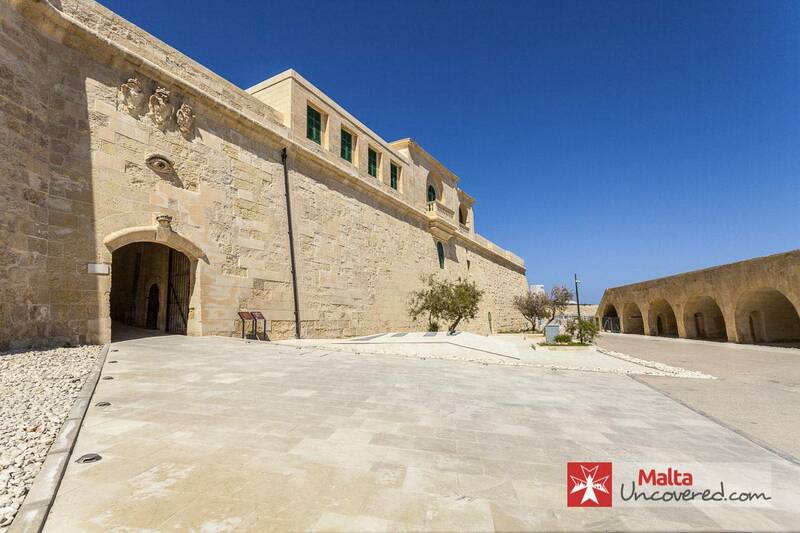 Having undergone major restoration in recent years and getting a new museum set up within its thick walls, Fort St. Angelo is a magnificent part of the fortifications around Grand Harbour. The exact time during which the first stone was laid is unknown, although most dates point back to the 13th century. When the Knights of Malta arrived in 1530, this fort became the seat of the Grand Master and withstood an invasion by sea from the Ottoman empire in 1565. An impressive complex worth visiting and exploring! 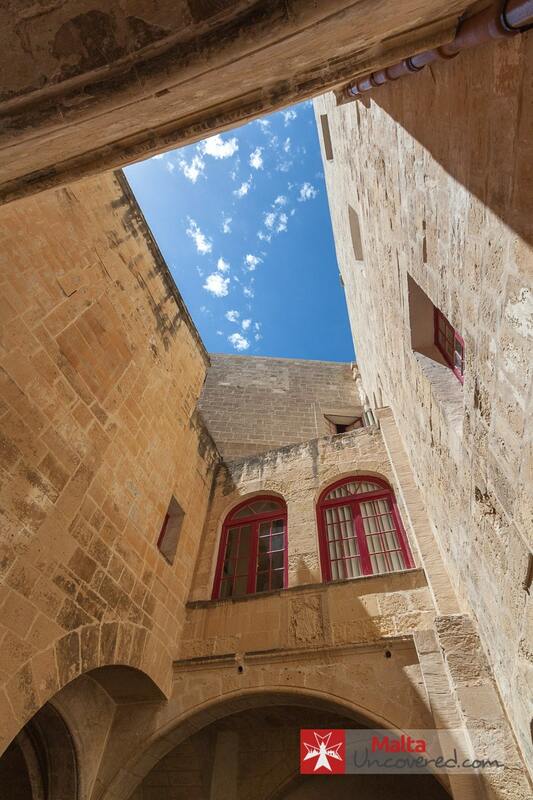 The villages of Mdina and Rabat can be found in the Western part of Malta and hold great historical value. With some of the most interesting points of interest around the Maltese islands, this is a must-visit place. Sitting on top of a hill nearby Rabat, the old bastion city of Mdina is one big museum and one of my favourite points of interest in Malta. 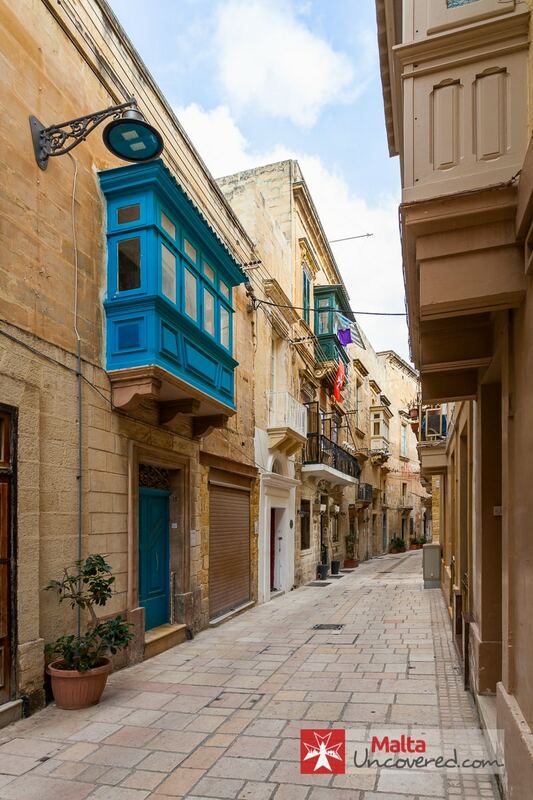 Beautifully maintained, it was once Malta’s capital city until the arrival of the Knights of Malta in 1530, and has maintained its medieval character through the centuries. It is literally like stepping into a scene of days gone by, strolling through its narrow, winding alleys with different types of architecture. Placed on the tentative list of UNESCO World Heritage Sites, this is a must see. Located right behind Mdina’s main gate lies the National Museum of Natural History. Although the museum and its contents aren’t the best on the island, the museum is worth visiting for the building itself. The collection ranges from beautiful butterfly collections to weird and wonderful examples of taxidermy. The interior needs a bit of TLC and dusting though so don’t expect the world! Tucked away in one of the main streets in Mdina, the Chapel of St. Roque looks very unassuming from the outside but offers beautiful interiors, particularly the altar. It’s a little-known chapel that doesn’t look particularly inviting from the outside but is definitely worth a quick visit! With Mdina being located on top of a hill, there’s a very rewarding view out over the North of Malta from Bastion Square, which you can find towards the northern side of Mdina. Although you can sit on top of the bastion wall, be careful! Like the view and up for a coffee and a snack? Head over to Fontanella, a cafe located around the corner from this square that has an outside terrace offering a similar view and some of the best sweets on offer in the area. Location: Entrance from the ditch near the southern side gate (parking area) or next to il-Veduta restaurant at street level, to the East of the main gate of Mdina. As part of a recent extensive restoration project of Mdina, the bastion city’s large ditch also got a major facelift and although the garden itself makes for a nice walk or place to chill in the shade, if you walk around the corner to the East there are some nice views to take in as well. It’s not a well-known spot so expect peace and quiet! St. Paul’s Cathedral is the most dominant feature of Mdina’s skyline and looks just as impressive from the square in front. It’s more or less the central point of the city and contains several intricate frescoes and paintings that make for a very rich interior. Further artworks and artefects are on display in the small museum next door, housed in the Seminary. Buskett is probably the closest thing to a forest in Malta, in an otherwise fairly barren landscape due to the climate. The gardens were once an area of recreation and hunting grounds to the Knights and apart from their natural beauty, Buskett features a few old structures, orchards and pathways. It’s a peaceful location often enjoyed by locals for picnics and Sunday walks. One of the major reasons people visit Malta is the fact that there are so many places to see (and so many things to do) within close proximity of each other. The following attractions, although not within the same city/town are easy to reach and worth taking the time to visit. The Three Cities refers to the three major localities opposite of Valletta, across Grand Harbour: Senglea (aka Isla), Birgu (aka Vittoriosa) and Bormla (aka Cospicua). Although Birgu has the most to offer in terms of points of interest, it’s worth walking around all three of the villages. They’ve got a particular, quaint character with great harbour views (particularly so from near the Gardjola watch tower at the tip of Senglea) and interesting photo opportunities if you like taking pictures. The Portuguese Grand Master Manoel de Vilhena built this extraordinary piece of architecture back in 1733, during the era of St. John’s Knights. Since then, it has been renovated and embellished and is now a beautifully ornate stately home, complete with unique interiors and a fascinating history to go with it. Their cafe is also a nice place to sit down for a cup of coffee or tea and a snack. Set on the original set of Popeye (1980 movie starring Robin Williams), this small theme park is a staple attraction in most travel guides. Although, if you have kids, it’s a nice place to visit in itself (despite the cartoon character being a little dated perhaps), the location at Anchor Bay is amazing in itself. It’s a quiet part of Malta with a few beautiful unspoilt areas and this particular rocky bay is great for snorkelling. There’s no beach but there’s an easy entry point from the opposite of Popeye Village. You can get onto large cement blocks where the ferry to Gozo used to berth. Keep an eye on the wind direction if you decide to go snorkelling here though, the sea can get pretty rough! If you’re into exploring some of Malta’s nature “off the beaten path”, this is a good option for a walking route where remains can be found of a Roman-era road and buildings, as well as bronze-age caves used as beehives. It’s a steep uphill walk but you’re rewarded with a great view over Xemxija and St. Paul’s Bay when you get to the top and further behind the trail there are some nice paths to follow through the countryside. The parish church of Mosta has what’s known as the third largest unsupported dome roof in the world. Apart from its impressive architecture and interiors, its history could have unfolded very differently, had the 200kg bomb that was dropped by the German Luftwaffe in 1942 (during World War 2) had detonated. Instead, it pierced the roof and fell amid a congregation of some 300 people but failed to explode. Miraculously, no one was injured. The Aviation Museum is a must-visit for flying fanatics. Set in a former Royal Air Force Station, the museum features a variety of aviation vehicles and accompanying, relevant objects that are of great historical importance to Malta. If you’re looking for a few nice souvenirs, you’ll find some traditional hand-made Maltese crafts at the Ta` Qali crafts village, homed in old army barracks constructed by the British. Pottery, glass, jewelry, lace – there’s something for everyone and it’s genuine, unlike some of the plastic rubbish you’ll come across in tourist areas. With more than 25 display tanks, the National Aquarium at Ta` Fra Ben, Qawra is home to several species of fish, most commonly found in Maltese waters, as well as from other locations around the world. A good family outing which is easy to reach. Marsaxlokk has traditionally been one of the bigger fishing villages in Malta, and apart from boasting some of the better fish restaurants on the island, also hosts a fish market on Sundays. It’s a nice place to visit, with a small harbour full of small fishing boats, also called luzzu (pron. ‘lutsu’). Another beautiful location to visit at sea is the Blue Grotto, located near the village of Zurrieq in the South of Malta. You can take a boat trip into this cave along the coastline during the summer months to admire the bright hues of blue caused by sunlight reflecting off the sandy sea floor underneath. Also a popular diving location, it is accessible through locally organised boat tours that take you in and around the Blue Grotto and nearby caves, to give you a good view of the beautiful coastline in this part of the island. Falconry was practised widely in Malta in the past, and although it’s largely died out, the Malta Falconry Centre keeps the art alive and organises daily displays of a variety of well-trained birds of prey. They open between 9am and 3pm in winter (1st October – 30th September), with displays at 11am and 2pm, and are open between 9am and 12:30pm in summer (1st July – 30th September) with a single display at 11am. Built by the British between 1878 and 1886 to beef up the defense of its territories in Malta, Fort Rinella and its single Armstrong 100-ton gun sits on the North-Eastern side of Malta, on the outskirts of Kalkara (around the corner from The Three Cities). Although never fired in conflict, the gun saw practice shots fired once every three months and was sparingly used because of the cost of shells for the 450mm diameter barrel. Nowadays the gun is fired once a year (usually on the first Sunday in May), using only black powder, but its museum and site are nevertheless an interesting place to visit. Probably one of Malta’s top attractions, the Blue Lagoon is located to the West of Malta’s third largest island of Comino. The island itself is inhabited by only four people and only has a hotel, chapel and watch tower, so it remains largely untouched by man. The Blue Lagoon itself gets crowded during the summer months (it’s a popular location to swim), and not surprisingly. With its mesmerising, crystal-clear azure-coloured waters it’s a little slice of paradise. Gozo is Malta’s much smaller and quieter sister island and offers various points of interest and places to visit that are worth exploring, even if only as part of a day trip. Located along the long windy road between Victoria and Marsalforn, Ta Mena` Estate is a family-run business that’s known for its high-quality local produce, from wine to olive oil and kunserva (tomato paste), among other foodstuffs. Tours are offered here (by booking) that take you around the estate and aside from learning about the passion that goes into locally produced food, you get a taste of their produce, fresh off the land. I’ve become a bit of a fan of their red wines myself and highly recommend you book a tour to try the experience for yourself. It’s something quite different and a great opportunity to (literally) get a taste of local culture. Similar to Mdina, Gozo’s capital city of Victoria has its own citadel, perched on top of a hill more or less at the centre of the island, overlooking most parts of the surrounding areas and is freely accessible. Also placed on Malta’s tentative list of UNESCO World Heritage Sites, was known as Gran Castello in Medieval times and protected its citizens as well as those of the extension of the city that started forming outside its walls in the 16th centuries, from corsairs and other invaders. Beautifully restored in recent years, it’s a lovely place to wander around and explore. 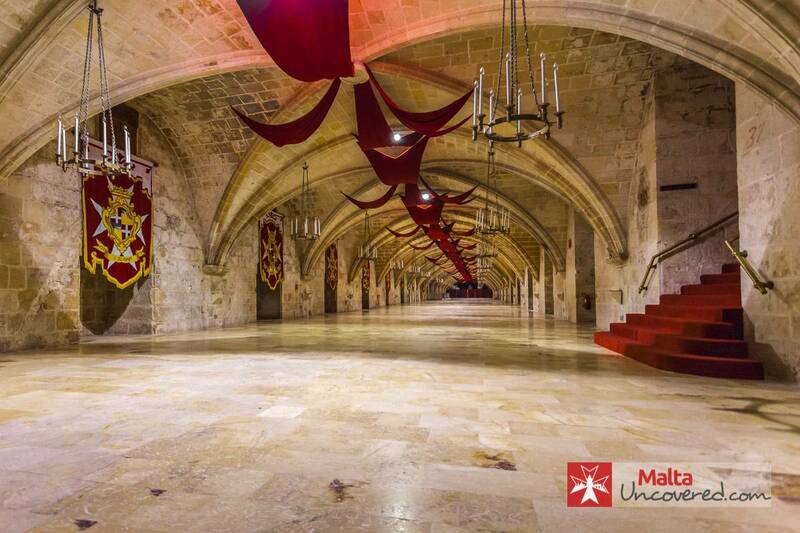 This interactive museum in the heart of rustic Gozo focuses on fine art and the history of the Maltese islands, with fascinating audio-visual halls spread out over every floor, including in an impressive medieval wing. With over 2000 items on display, the Cathedral Museum provides an expansive insight into the history, culture, and traditions of Malta. From beautiful paintings by famous local artists to fascinating archives and a silver vault, there are numerous ways for visitors to get to know Malta here. Malta has a rich and varied history, and the Folklore Museum paints a great picture of times-gone-by, including representations of rural and domestic living, and traditional clothing, tools, and implements that have been a huge part of Maltese life over the past few centuries. Showcasing the historic timeline of Gozo, the Museum of Archaeology is a series of well-laid out rooms that depict the cultural history of the islands, from prehistoric eras right up until the present day. This is the place to go for a comprehensive lesson in how Gozo got to where it is today. Set in an old, charming house from the Aragonese period, the Museum of Natural Science displays a selection of mind-blowing exhibitions, including fossils, gemstones, and artifacts of great scientific importance. The small village of Xlendi is located on the South West side of Gozo and overlooks a small bay flanked by tall cliffs. There’s a small bay lined with a few restaurants and hotels which are great for a relaxed lunch while enjoying the view over the bay. Visitors to the Old Prison can sneak a peek into the lives of former criminals who were held in the grand, old building by the Citadel. The law courts are nearby – for obvious reasons – and visitors can see the important Cathedral Square from the windows of the prison. Against the backdrop of an enchanting historical house from the 18th Century, visitors can mosey through the 28 rooms of the Għarb Folklore Museum and learn more about Malta’s past. Rooms include an antique press room, a carpenter’s workshop, and other traditional, manual trades. Dwejra and its Inland Sea, are a popular attraction in Gozo. This was also the site of the Azure Window (a naturally arch-shaped rock formation) but this popular landmark eroded into the sea in early 2017 during a spell of bad weather and rough seas. That specific part of Dwejra was one of the most iconic filming locations for the first season of Game of Thrones. Nevertheless, it’s still a great location for scuba divers and snorkellers as well as ramblers, exploring the beautiful underwater life and its rugged landscape. The Inland Sea itself is a small bay surrounded by tall cliffs where you can go for a swim but is more enjoyable for snorkelling, also because the bottom is pretty rocky and the beach is covered in pebbles rather than sand. Some of the prehistoric temples found scattered in Malta and Gozo are older even than the Pyramids of Giza in Egypt and Stonehenge in the UK, the oldest having been built around 3600 BC. They’re among the oldest free-standing structures in the world and paying a visit is well worth the excursion if history and archaeology are among your interests. None of the temples are located close to the more popular tourist areas, although public transport services most quite well. If I had to choose one location to recommend going to, to view some of the temple structures, it would be the ones located nearby Qrendi (a quiet village in the South of Malta). The Ħaġar Qim and Mnajdra temples are located in close proximity and in the past years Heritage Malta built a visitors’ centre with good info on the temples, who built them, what they were used for, etc. If you’re into history and archaeology, the Megalithic Temples of Malta can give you a fascinating look back to early records of civilisation in the Maltese islands. Together listed as UNESCO World Heritage site, the various temples are some of the oldest free-standing, man-built structures in the world. The Tarxien Temples are a complex featuring four magnificent megalithic structures that were designed and erected between 3600 and 2500 BC. The site provides visitors with a fascinating and humbling look into the prehistoric life of Malta. The Ħal Saflieni Hypogeum is ancient burial site was discovered during an excavation in 1902 and, today offers visitors the chance to explore a complex of interconnecting tunnels and burial chambers. Remains have been found from around 4000BC, hinting at the first human life in Malta. 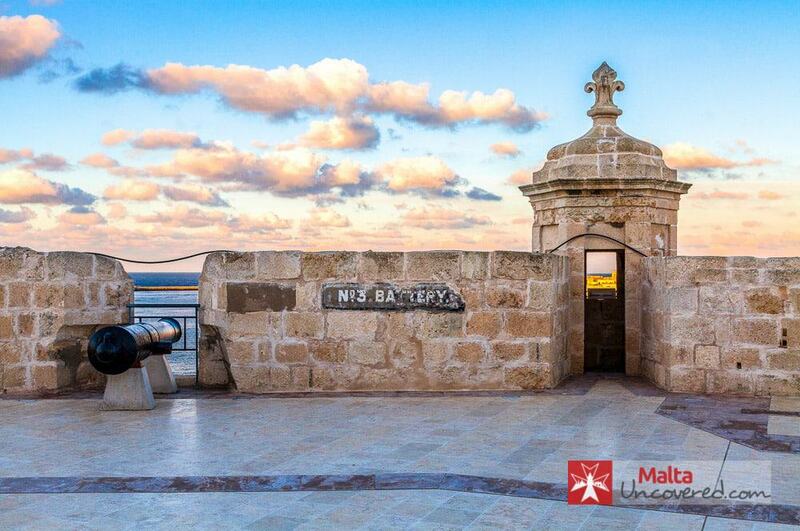 The Ħaġar Qim Temples stands proudly on a hilltop with spectacular views out to sea. Here, visitors can wander around a series of prehistoric apses and learn more about early human life in Malta. Hauntingly set on the rugged coast of Malta, the Mnajdra Temples are located near the Ħaġar Qim temples. The complex consists of three structures and offers visitors the chance to see some unusual design styles from the prehistoric period. This exceptional structure is one of the oldest free-standing sites of its kind in the world, making it an extremely important addition to Malta’s temple collection. At Ta` Ħaġrat, visitors can enjoy the stunning views available from the complex, and experience the only temple made from Upper Coralline Limestone. Excavated in the 1960s, Skorba is a unique temple in that it features the remains of domestic prehistoric life, including the homes of the temple builders themselves. As one of Malta’s most well-preserved temples, visitors can get a more detailed look into prehistoric Malta at the Ġgantija Temples. Its name stems from the Maltese word for ‘giant’ because, at one point, it was linked to a race of the mythical creatures, and there are remains of animal sacrifices which provide a picture of how islanders lived thousands of years ago. These museums, galleries, and temples provide a detailed and fascinating look into Malta’s past, focusing on its previous inhabitants from times-gone-by and the lifestyles that used to be so prominent. Visitors can learn an awful lot about the island’s history through these portals, with the added bonus of experiencing some spectacular architecture at the same time. The less visited Southeast part of Malta is home to some of the islands’ most extraordinary sites, which should definitely make it onto the ‘must-see’ list of any foreign visitor. One of these locations is none other than the magnificent Blue Grotto. For centuries the coastline of Malta has been dotted with lookout posts or watch towers that were built by the Knights of Malta during the 17th century. These towers were manned nightly to watch the seaward approaches and to raise the alarm in the event of imminent threat. Traveling to Malta Thursday for two weeks with three other women. this guide was incredibly helpful. I bookmarked it and am sure I will be using while there. Any advice on getting around without renting a car? We are hoping the public transport is as good as it seems. We will be staying in Mellieha. Should we be renting a car for specific attractions or will the buses do? Thanks. Happy to hear that Betty, thank you. There aren’t many options for transport in Mellieha really other than buses or taxis, but you should be just fine using the bus as it’s a relatively quiet time of year. Enjoy your stay! visiting again this September 2018 can’t wait. Thank you so much for such a comprehensive guide. My wife and I visited 4 years ago and love Malta so are due to visit again in September 2018. There is so much to see and experience we have booked 2 weeks and can’t wait to explore again. Glad you like it Mark, thanks for leaving a comment! Edward, thanks so much for all the info on Malta. My sister and I will be there towards the end of March and so look forward to seeing as many of these places as possible! We visited Malta a long time ago but didn’t see all of this. We are particularly interested in historical/ war sites. Will keep your email to refer to nearer the time! Thanks again. You’re welcome Sonia – always happy to help!